Subscribe to Class and Show Calendar Here! ​I create imagery with finely powdered black glass on a sheet glass substrate. Sgraffito is a subtractive technique; light areas are created by scraping away the powdered glass, while dark areas are made by adding piles of powder. The finished drawing is very vulnerable until the piece is fired in a kiln. 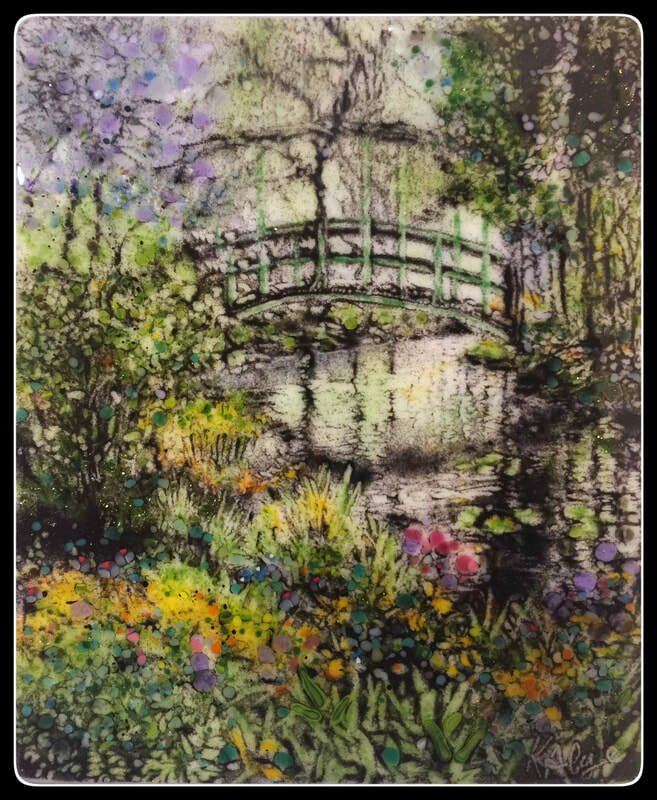 I manipulate the powdered glass with torn card stock, my fingers, sharpened erasers, and various other 'tools'.The finished piece is 100% glass and the drawing is permanent.